Your Brentwood, TN Dentist Office! Welcome to Sullivan Dental Partners! We’re pleased you stopped by to learn more about our commitment to superior dental care and trusting patient relationships. We hope you will join our friends and neighbors in Brentwood, Oak Hill, Franklin, Crieve Hall, and Nolensville who have trusted their oral health to us for over four decades. Are you looking for a dental practice where friendly professionals help you feel welcome and important every time you visit? At Sullivan Dental Partners, you are our number one priority. Receiving dental care can be a challenge for many people. That’s okay – we’ve been treating anxious patients for decades and have shown them that a gentle approach and respect for their feelings can actually make their dental visit enjoyable.  Sullivan Dental Partners is a fourth-generation practice that has been serving our community since 1970. Today, with the help and support of our long-term team members, Dr. Rick and Dr. Sully carry on the tradition of providing dental care that is efficient, gentle, and affordable. We use leading-edge technology and treatments tailored to your unique needs to help each patient achieve his or her dental and smile goals. Both Dr. Rick and Dr. Sully have invested many hours to learn all they can about state-of-the-art technology and updated dental techniques. Continuing education classes and specialized training with the industry’s leading innovators provide them with the expertise needed to offer the most updated treatments available. Generations of families in Brentwood have found that we’re committed to making it as easy as possible to get the care they need. We make it a point to offer a comprehensive array of services to cover all your family’s dental needs. We provide basic preventive services like dental exams, cleanings, and fillings for all members of your family. In addition, Dr. Rick and Dr. Sully are well versed in both endodontics and prosthodontics, as well as placement of dental implants. If you want to make your healthy smile the best it can be, we’re also pleased to offer cosmetic dental treatments and Six Month Smile orthodontic treatment. These days, finding room in the budget for dental treatments can be a challenge. We don’t ever want one of our patients to forgo treatment because of finances. That’s why we’re pleased to partner with CareCredit and The Lending Club to allow you to spread your payments out over time. We’re here to make sure that everyone receives the care they need, regardless of their financial situation. Insurance can be confusing, but we're here to assist you in getting the maximum benefit you're entitled to. We are contracted with Blue Cross/Blue Shield of Tennessee, Delta Dental PPO, and Premier.  For your convenience, we are happy to file all PPO insurances as well. We know your time is valuable, so we have arranged our schedule to fit the needs of our patients. Sullivan Dental Partners is open early Monday through Thursday so you can conveniently arrange appointments around your schedule. If you or a family member has a dental emergency, we’re always here for you, even after hours. Would you like to see how personalized attention and concern for your needs could benefit your oral health? We would love to hear from you!  Please call our Brentwood dental office and we’ll help you schedule your next appointment!